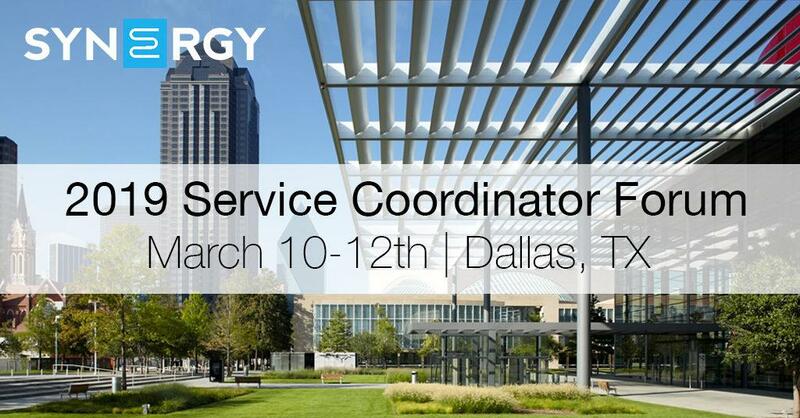 Join Synergy Solution Group in Dallas, TX on March 10-12th for the 2019 Service Coordinator Forum. Synergy has contracted a block of rooms with the Fairmont Dallas at the discounted rate of $199/night. Once you’ve completed the registration we will add your name to the rooming list and will make your room reservation for you. A week prior to the meeting you will receive an email containing your hotel confirmation along with other details for the session. Attendees can plan to fly into the Dallas Fort Worth International Airport (DFW) which is 25-30 minutes away from the hotel or the Dallas Love Field Airport (DAL) which is 15 minutes away. Please let us know as soon as possible if you will be coming in early or staying later than the meeting dates. Hotel reservations are due one month prior to the session. Should you need to make changes to your arrival and/or departure dates we will make every effort to coordinate with the hotel. If the hotel is unable to make the changes you are responsible for any hotel fees. To ensure we give the correct food and beverage count to the hotel, restaurants, and other partners, we ask that you make any cancellations at least a week prior to the session. Cancellations that occur less than a week prior to the session will be charged the full registration fee.